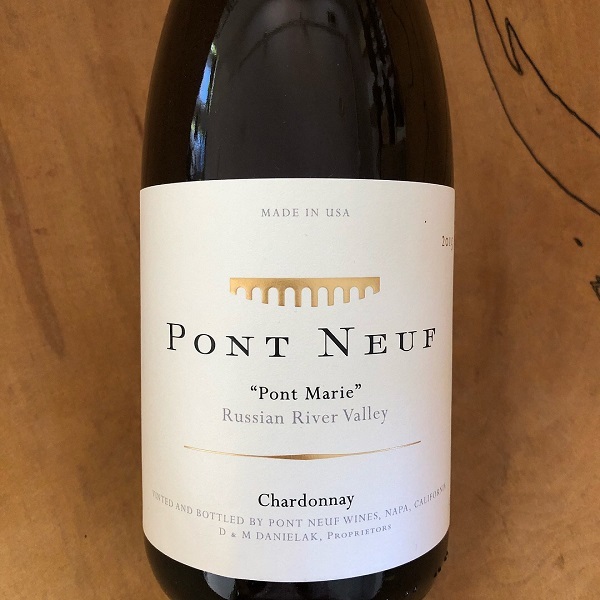 This 2015 Chardonnay from Pont Neuf comes from Lancel Creek Vineyard, but it is comprised solely of the Montrachet clone from a single vineyard block on this famed Russian River Valley site. Vintner Mary and Doug Danielak separated out two Tonnellerie Cavin barrels from the Le Pont Neuf Chardonnay to make this new offering. These barrels had a prolonged toast which give the wine a touch more weight in the glass. Elegant and textural, the “Pont Marie” is energetic and lithe with aromas of mineral, honey, brioche, and white peach supported by a vibrant acidity, concentrated ?avors and rich textures on the palate.” The finish is long and luxurious. 70 cases were produced.